Born on January 6, 1893 in Springfield, Massachusetts. Commissioned in the Infantry from West Point in 1914. 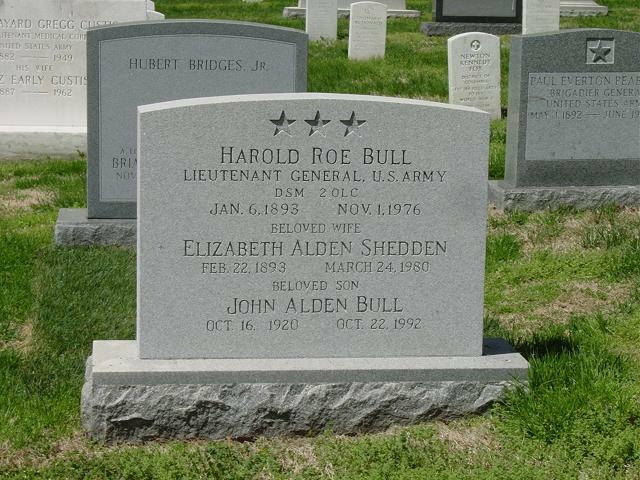 Served with American Expedionary Force in World War I.
Instructor at West Point 1921-1924. Graduated from Command and General Staff School in 1928. Instructor at the Infantry School 1928-1932. Graduated from the Army War College in 1933 and the Naval War College in 1934. Secretary of the War Department General Staff 1938-1939. Brigadier General in July 1941. Assistant Division Commander of 4th Division in 1941. Assistant Chief of Staff for Operations on the War Department General Staff in 1942. Major General in March 1942. Commanding General of the Replacement and School Command 1942-1943, then III Corps in 1943. Deputy Chief of Staff for Operations, then Chief of Staff of Allied Command in Europe, then Commanding General of 4th Division, finally Deputy Chief of Staff for Operations for SHAEF 1944-1945. Chief of Staff of U.S. Forces European Theater of Operations 1945-1946. Assignments after the war included Commandant of the National War College 1949-1952. Retired in July 1952 as Lieutenant General. Decorations included two Distinguished Service Medals, the Silver Star, Legion of Merit and Bronze Star.